At Keyhole Surgery Locksmiths our success has been achieved through tireless attention to detail and a desire to delight all our clients. Please read what our clients are saying about us opposite. 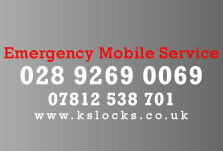 If you have any comments or questions about Keyhole Surgery Locksmiths or would any further information on our services or our range of products then please do not hesitate to contact us. "Excellent work and with a corteous manner. I have recommended Keyhole Surgery Locksmiths to my friends!" "Andrew came to us when we 'misled' one of our workshop keys. Rather than just change the lock, Andrew demonstrated just how easy it was to open our workshop with the type of lock we had (which was very surprising). He was then able to replace our locks making our workshop secure without making another visit." "Keyhole Surgery provides a fast, efficient service. Andy was onsite when he said he would be and had our locks changed within minutes."